The pharmaceutical industry is expected to surge in the near future, due in part to an aging population. Are you thinking of pursuing a career as a pharmacy technician? The pharmaceutical industry is expected to surge in the near future, due in part to an aging population. Jobs in the industry are expected to grow at a rate faster than average, with a 32% increase predicted in the decade spanning 2010 to 2020* (U.S. Bureau of Labor Statistics). 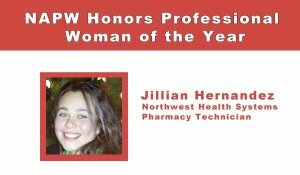 Now is a great time to enroll in a pharmacy technician program to get the education and training you need to start your career. A pharmacy technician is an important member of a healthcare team. A pharmacy tech program prepares students for a role in a pharmaceutical career in hospitals, retail settings, and online or mail order pharmacies. Working under the direct supervision of a licensed pharmacist, the PhT provides assistance in a variety of duties, including receiving and preparing prescriptions, maintaining inventory, assisting clients, and working with insurance companies, to name a few. 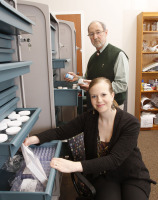 There are several different settings from which to complete pharmacy technician programs. Some students will attend community or technical colleges for their education and training, while others will attend an online program from home. Still others might complete a program offered by a retail pharmacy, although acceptance is usually limited in numbers each year. To read a first-hand account of what a pharmacy tech program might be like, check out our interview with Rosie Crawford, a pharmacy tech student in Charleston, South Carolina. Regardless of the pharmacy tech program a student chooses to attend, it’s important to review the accreditation that the program has received. In fact, the National Association of Boards of Pharmacy has recommended that, by 2015, all state boards of pharmacy require certified pharmacy technicians to complete an accredited education and training program.The American Society of Health-System Pharmacists is the leading national accrediting agency specifically for pharmacy technicians. A list of ASHP accredited schools can be found on their website at ASHP.org. Most pharmacy technician programs are both instructional and clinical, and typically take less than one year to complete, although some can take as long as 18-24 months. An internship/externship is usually required as part of the program. Previous healthcare training may waive these prerequisites. Almost all pharmacy technician programs require the completion of an internship (sometimes called an externship). The school typically chooses the location of the internship program based on a preapproved list of businesses and training partners. The internship is often completed during the last quarter of the education program.The process of completing an internship is important not only for the learning process, but for the networking opportunity it provides. In a sense, it’s like a long job interview. Dress appropriately, work hard, make contacts, and it could turn into a job opportunity upon graduation. Considering the nature of the work and the close working proximity to pharmaceuticals, almost all programs and internship providers will require a criminal background check and drug screening. Gross misdemeanors and felonies may exclude a student from participation in the program. Students must also meet all vaccination requirements as defined by the Centers for Disease Control Healthcare Provider immunization guidelines. Health insurance is also typically required of students. Many pharmacy tech programs can be completed fully online so that you can pursue your studies on your own time, at your own pace. Even with online programs, however, an approved internship will typically be required. While not all states require licensure or certification, it’s a good idea to consider as it will certainly make you more competitive on the job hunt. While researching a pharmacy tech program, ask the advisor if completion of the program will make you eligible to sit for a certification exam.